We all live such busy lives these days, juggling households, work, family, friends, kids activities, and more. In our family, it's really important that we make the time for some "down time". One of our favourite ways to do this to have regular pizza and movie nights with the kids. We have started our own family tradition of making pizzas together for our movie nights. It's lots of fun, the kids just love it and they taste sensational. They're made just how we like them (thin base) and we control the fat content & ingredients! There's nothing better than eating them straight from the pizza oven. Just arrived on our shelves direct from Italy are our new electric Express "Napoli" Pizza Ovens. They have been made with pure refractory stone cooking plates (same used for wood fired pizza ovens). 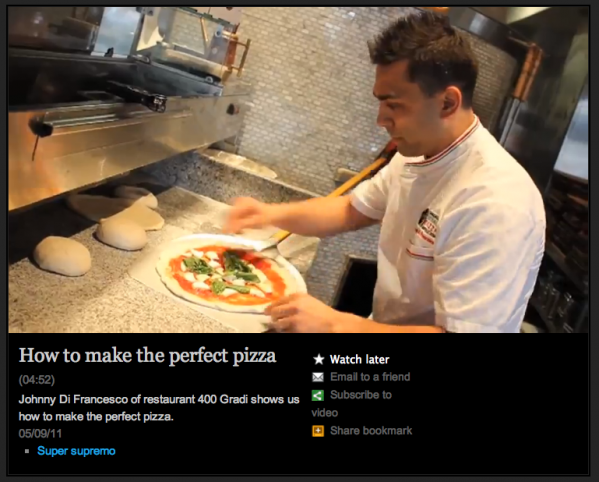 They're equipped with a thermostat for temperature regulation, to cook pizzas to perfection in only 5 minutes! Household ovens just can't generate the same heat. There are heaps of other great features too. They look great on your kitchen bench, are easy to clean and can be used for cooking other meals too. They are included in this weeks "Weekly Special", so don't miss out. 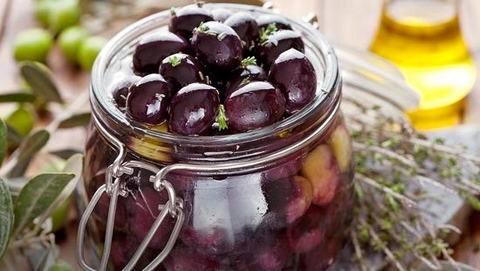 Now is the perfect time to preserving olives. Pick the olives fresh from the trees if possible, but olives from the markets would be fine (or side of the road where they sell grapes for wine making season). Make a cut length way on each olive with a sharp knife (or our handy olive cutters). Place in a bucket with fresh water and then change the water each day for 7 days. Make a brine using 100gms of salt to each litre of water (the water level should just cover the olives). Bring the brine to boiling point. Allow the brine to cool for 5 minutes. Place the olives in steralised sealable jars. Cover with the brine, seal and leave for 1 month. Before using a jar of olives, wash off the brine, cover in olive old, add fresh garlic, fresh rosemary, and leave over night for the flavours to go through the olives. (Fennel, fresh chill are also nice flavours. Always keep the jars topped with olive oil to cover the olives). Enjoy! We have just released some new dates for our Cider Making Workshops at our Reservoir Store on the 26th April, 2013 and our Clayton Store on the 27th April, 2013. Learn the basics and tricks of the trade to brew your own homemade Apple Cider. Places are limited. More Food and Beverage Workshops will be released soon. Our homebrewing range of supplies and equipment is growing! Just arrived on our shelves are our Grain Mills for cracking husks. We now have an massive range of grain varieties to choose from, and our Grain Mills are available in store to use as a complimentary service. If, like us, you are getting excited about the 2013 Melbourne Salami Festa, then don't miss next weeks Newsletter. We will be sharing all the latest news direct from the Melbourne Salami Board! Stay tuned! Registrations to enter your award winning Wine, Beer, Passata and Avjar for the 2013 Darebin Homemade Food and Wine Festival close on the 9th May, 2013. This is a great community event that celebrates food traditions and sustainable food. The festival will be host to food demonstrations & workshops, tastings, international music and entertainment. Up Coming Events and Festivals not to be missed! *Introduction to Homemade Wine Making on Tuesday 14th May at 6.30pm at the Intercultural Centre, Community Kitchen. Bookings Essential. *Homemade Pasta and Beer Brewing Demonstrations on Friday 17th May at 6.00pm at the Reservoir Civic Centre. Bookings Essential. *Salami Making Demonstration on Saturday 18th May at 2.30pm at Preston Shire Hall, Kitchen. Bookings Essential. Melbourne International Coffee Expo 23rd-26th May, 2013, Melbourne Showgrounds. Fine Food Australia 9th-12th September, 2013 Sydney Convention & Exhibition Centre. Melbourne Salami Festa Mid September, 2013 (Date to be confirmed). Our trading hours will continue to be extended for the month of April, 2013 to take us through to the end of the Wine Season. Our Reservoir and Clayton stores will be open from 9am until 5.00pm Monday to Friday, 9am until 3.00pm on Saturdays, and 10am until 2.00pm on Sundays. Mother's Day is approaching fast! If your mum is passionate about homemade food and beverages, then we have some great gift ideas. These include our new range of pasta making accessories, homewares, coffee-making accessories and much more. Gift vouchers are also available. You can also follow us on Facebook and Twitter for daily updates, articles, promotions and banter. Have a great weekend! And if you've had a bad week, and in need of a good laugh, then check out this YouTube clip, "Skype with a Calabrese". I'm sure some of you have had similar experiences!